ONLINE SALES ARE SOLD OUT. Limited tickets will be available at the door. The Story Collider brings true, personal stories about science to life. At this live show, you'll hear scientists tell heartwarming (and heartbreaking) stories about their failures, successes, and everything in between, and you'll also hear from people who haven't had a formal connection to science in years. 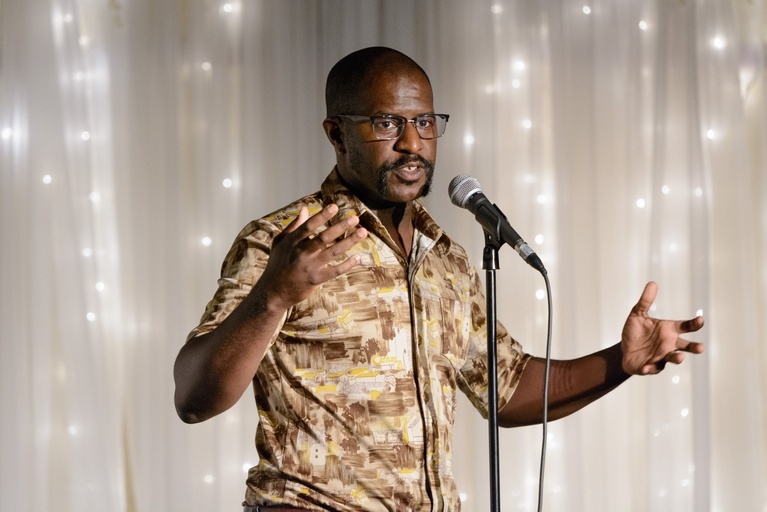 Science is a part of all of our lives and The Story Collider brings chemists, comedians, actors, neuroscientists, writers, and physicists alike onto the stage to tell their (true) stories. Getting there: Highland Inn Ballroom is accessible from the 2/102 bus, which departs every 15 minutes from North Avenue Station, or from the 816 (downtown to Emory), or a three-block walk from the 6 (Lindbergh/ Inman Park Station). It is also 2 blocks away from the Freedom Park Trail, which intersects the Belt Line. Limited free parking is available in the adjacent lot and in nearby streets. Paid parking is available in the garage across the street.